Gluten Intolerance, or Gluten Sensitivity, is a condition where the body is intolerant to foods containing gluten. Gluten is a mixture of two proteins, gliadin and glutenin, and is found in wheat, oats, rye and barley. When mixed with water it becomes sticky and so forms the familiar texture of dough made from wheat and rye flour. There are a large number of people who are not celiac, but have difficulty in breaking down gluten-containing cereals such as wheat, rye and barley. 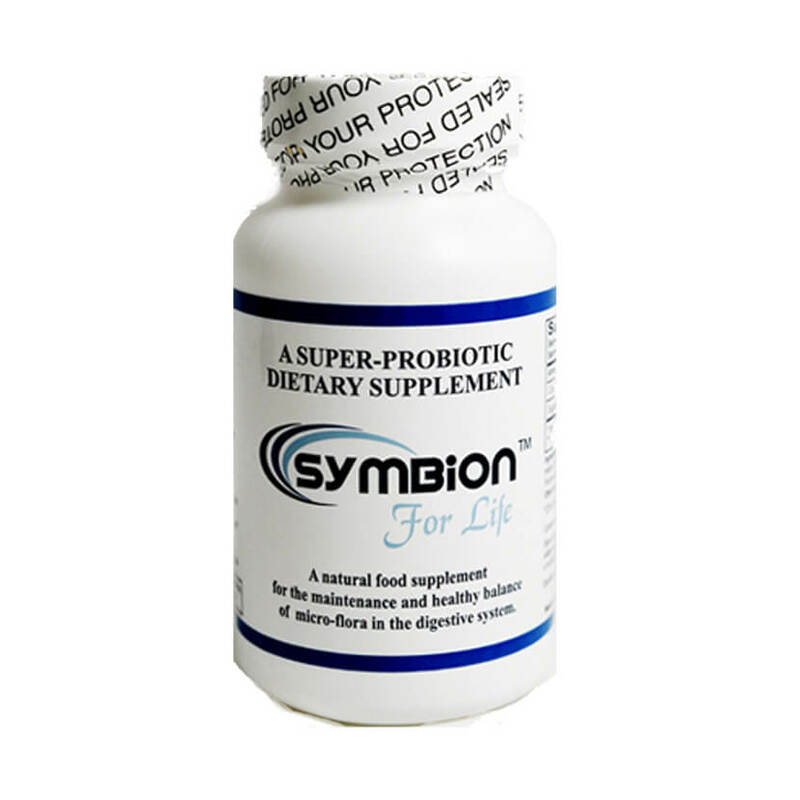 In mild cases, this causes discomfort and can lead to bowel problems such as IBS, diarrhoea and bloating. 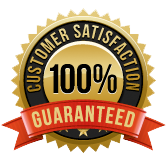 It is for this section of the population, as many as 1 in 20 according to Dr James Braly, that Immunecare Glutenase Plus has been formulated. What can I do if I have a problem with gluten? People with a gluten sensitivity could find relief with Immunecare Glutenase Plus – a new, natural, enzyme-based supplement that breaks down gluten into more easily digested gliadin and glutenin and then into amino acids. Gluten containing grains are a relatively new addition to the human diet, and we are just not genetically well equipped to eat them. Gluten is a group of storage proteins, including gliadin and glutenin, which are difficult for us to digest. 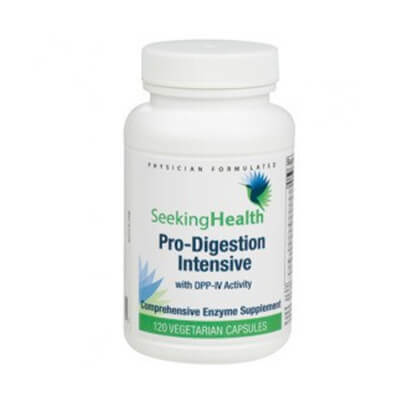 This is because digestion of these storage proteins requires very specific enzymes which most of us lack. The mucus that lines our intestinal tract usually protects us from these harmful proteins, but in many individuals these proteins pass into the bloodstream where they cause an antibody response and inflammation. 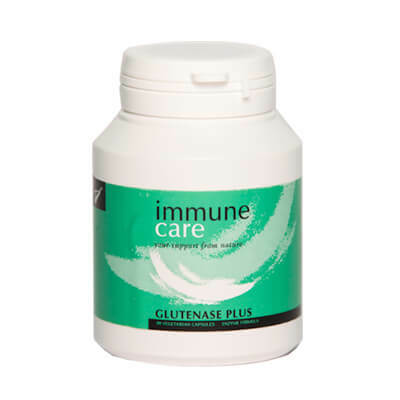 For those who do not wish to exclude these grains totally from their diet, Immunecare Glutenase Plus contains the specific enzymes that break down the gluten protein into harmless individual peptides and amino acids with which the body can then cope. We would also recommend taking Immunecare Colostrum to heal gut hyperpermeability. Please note that Celiac disease is a genetically influenced condition afflicting around 1 in 100 people. It results from eating gluten, where the lining of the small intestine is chronically damaged by gluten proteins and their interaction with the immune system. If you have been diagnosed with celiac disease, the only treatment is to go on a gluten free diet for life.